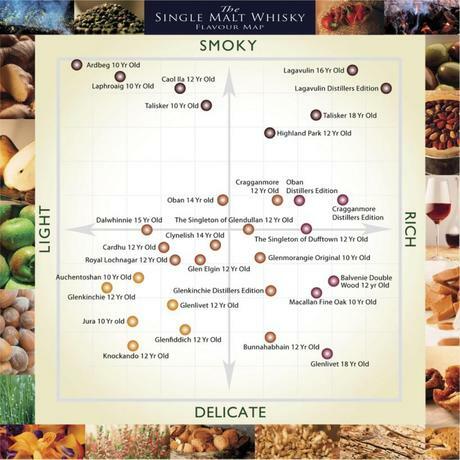 Although it contains only about 4% of all the single malt whiskys currently in production, this is a fun map of most basic and pronounced flavor profiles of Malt Whisky. Single Malt Whiskys being those whiskys produced in Scotland with 100% malted barley at a single distillery. The map has divided the profiles into four profiles; Smokey versus Delicate, and Light versus Rich. Thanks to bigthink.com where I first read about this map.